Noah is ONE! I first photographed Noah for his newborn photos, then again at 6 months, and now 1 year! I love when clients book milestone photos with me. It's a perfect way for me to get to know a family, and capture your babies first year of growth, which happens so fast! 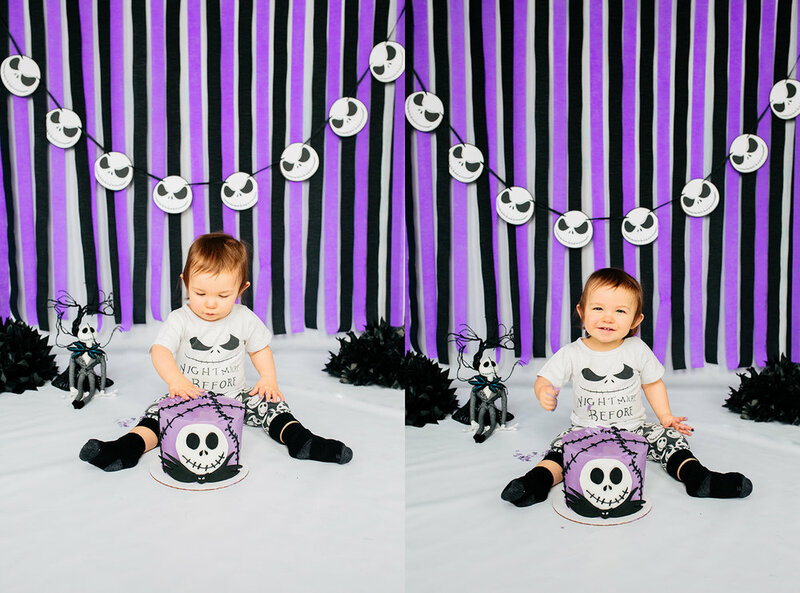 Noah's cake smash theme was Nightmare Before Christmas. I love this movie, so this was fun for me! The banner I purchased off Etsy, but the background I made myself. The cake was purchased from my favorite baker in Cranston, RI! The tree was supplied by me (a Halloween decoration, but I thought it was totally perfect!) and the Jack is Noah's! Everything came together perfectly, and this cake smash was so cute! Here are some of my favorites from Noah's sessions!